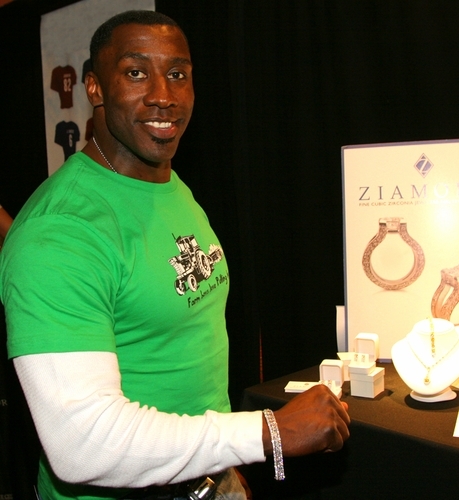 NFL Great Shannon Sharpe tries on a Ziamond cubic zirconia cz bracelet in 14k white gold. We offer a wide selection of mens bracelets in addition to mens rings, earrings, necklaces and pendants. Many celebrities and athletes come to Ziamond Cubic Zirconia CZ Jewelers for all their fine jewelry needs. All Ziamond cubic zirconia cz jewelry is set in 14k gold, 18k gold or platinum.